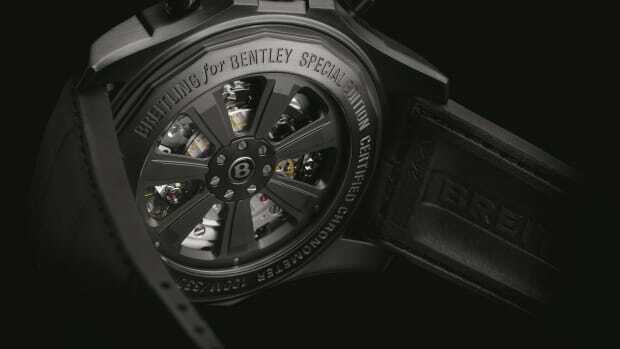 What better way to complement the Breitling&apos;s black ceramic bezel than to spec it with a their Blacksteel casing. 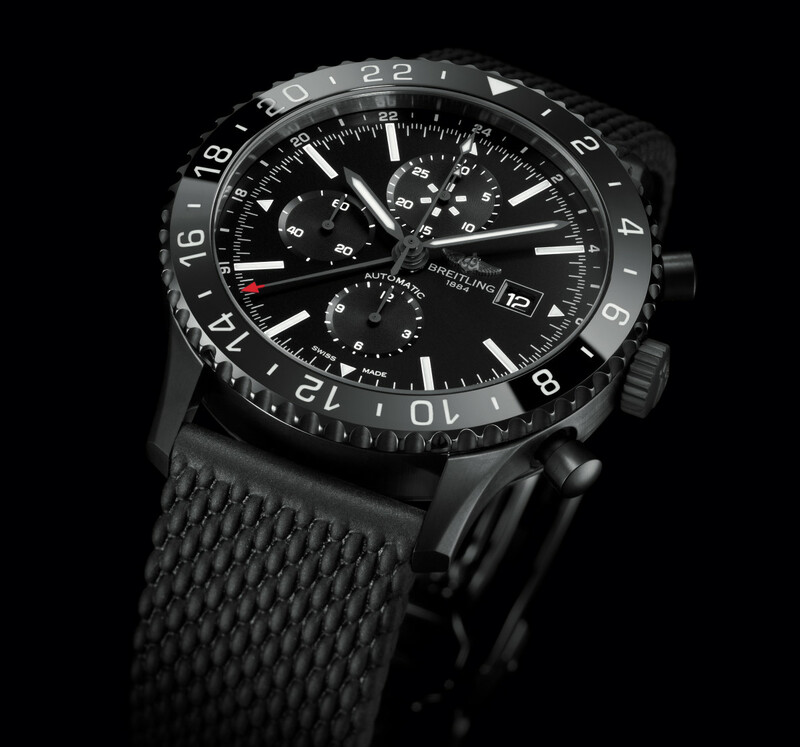 The &apos;50s and &apos;60s styling of the watch feels slightly more modern with the top-to-bottom black finish. 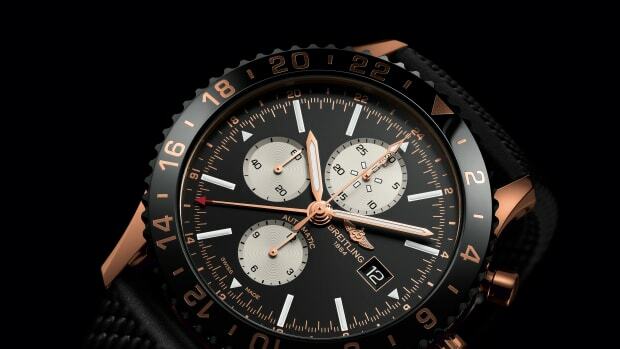 The watch features a Breitling 24 movement that features a chronograph complication and second 24 hour timezone. 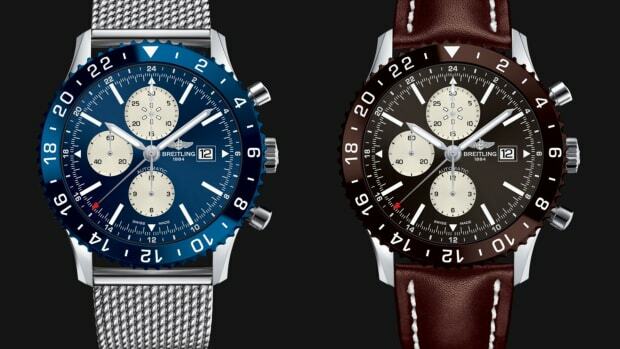 Completing the look of the watch is a rubber strap that mimics the texture of the brand&apos;s steel mesh bracelets. We just can't get enough of those bezels. The company's modern classic gets decked out in red gold.